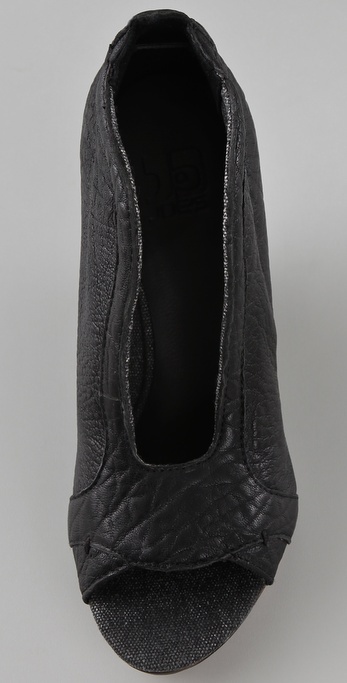 Today's So Shoe Me is the Finn Open Toe Wedge by Joe's Jeans, $185, available at Shopbop. An edgy black wedge with everyday elements, like a durable wooden heel, make the Finn Wedge a must-have for modern fashionistas. The tumbled leather gives a aged vintage appeal and the unique and exaggerated U-shaped front create the overall modern shape - basically the best of both worlds. 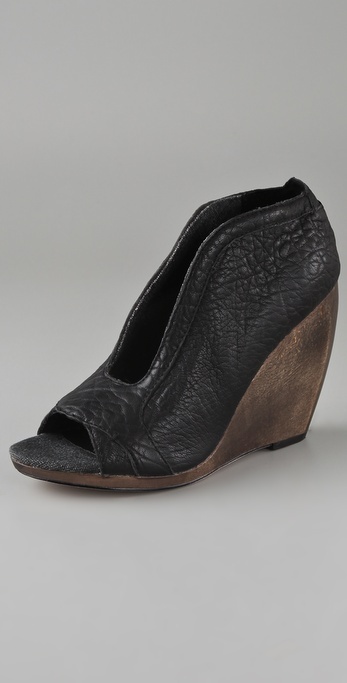 With all the details within this wedge it can easily be paired with denim or dressed up with chic sophisticated separates. 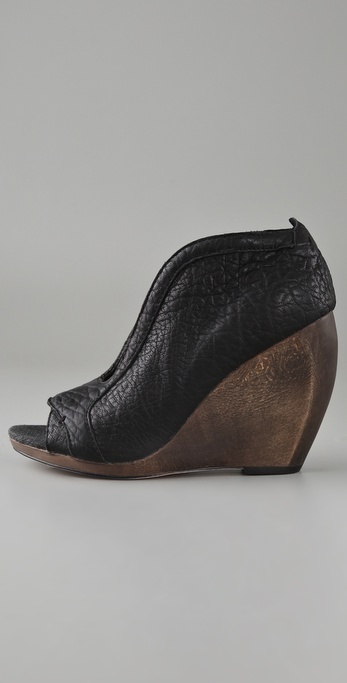 Style this wedge with a cotton midi length dress and a maxi length cardigan or kimono for modern summer style. So Shoe Me a pair of summer ready wedges that mix vintage finishes with a modern shape - making it the definition of versatility.